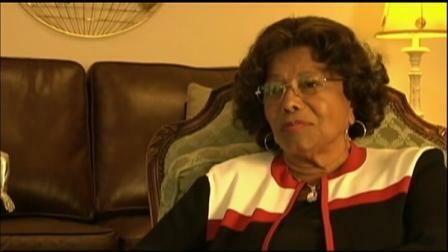 Michael Jackson's Mother Publicly...Celebrates Birthdays! LOS ANGELES - Michael Jackson's mother says she is returning to her family's Indiana hometown to celebrate what would have would have been her son's 54th birthday. An announcement released Tuesday by a representative of Katherine Jackson states the events in Gary, Ind., will be attended by the singer's three children as well. A candlelight vigil is planned for Aug. 29 outside the family's home on Jackson's 54th birthday. The celebration is being dubbed: "Goin' Back to Indiana: Can You Feel It?" Details on the events, including a tribute concert and an event honoring Katherine Jackson are posted on a Facebook page for the event, http://www.facebook.com/jacksonstreet2012. The Jackson family moved to Los Angeles as Michael and other siblings pursued their burgeoning music careers, but have kept connections to their Indiana hometown. Re: Michael Jackson's Mother Publicly...Celebrates Birthdays! August 1, 2012 (GARY, Ind.) -- Michael Jackson's Mother announced Tuesday she is returning to the family home in Gary, Indiana, to celebrate what would have been her son's 54th birthday. The Jackson family released a statement stating that Katherine Jackson will be accompanied by three of her children on the visit later this month. The celebration is being called "Going Back to Indiana: Can You Feel It?" A candlelight vigil is planned for the birthday memorial on August 29 at the Jackson home. family's hometown this weekend to celebrate what would have been the singer's 54th birthday. 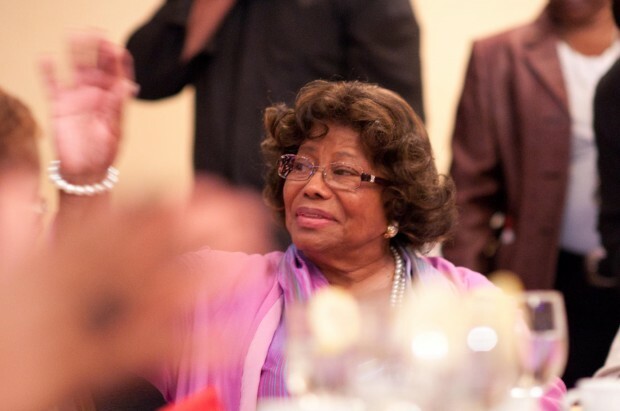 GARY | Katherine Jackson, mother of late pop superstar Michael Jackson, was the guest of honor at a special dinner Friday hosted by the Gary Chamber of Commerce and Mayor Karen Freeman-Wilson at Majestic Star Casino & Hotel. The dinner was one of a series of events and activities in Gary coinciding with what would have been Michael Jackson's 54th birthday. Freeman-Wilson said she spoke with Katherine Jackson before the dinner and that the King of Pop's mother believes, like the mayor, that there really is no place like home. “For her, Gary is in fact home,” Freeman-Wilson said. Freeman-Wilson said the legacy of Michael Jackson often is celebrated without acknowledging the legacy from which he came. “We thought it was a wonderful opportunity to acknowledge that legacy,” she said. Michael Jackson tribute artist Carlo Riley traveled from Colorado to attend the festivities in Gary, including the dinner. He said he’s been a fan of Michael’s since the day he was born in 1982 — the year “Thriller” was released. He met Michael’s mother last year in Gary and met Michael’s children Thursday at the RailCats game. Lauren Krozser, 20, drove from Cleveland with her mother to attend the dinner. Wearing her replica Michael Jackson “Beat It” jacket, Krozser was hoping for a chance to meet some of the Jackson family members. “I’m a huge fan of Michael,” she said. “I love that he was able to deliver such a great message and at the same time be cool and have everybody excited about his art." “We’re here to celebrate Mrs. Jackson and the life and legacy of Michael," he said. The Goin' Back to Indiana: Can You Feel It activities continue Saturday with a concert at the West Side Theatre Guild. Expected to attend are "Extra’s" Mario Lopez and Michael Jackson’s daughter Paris Jackson.